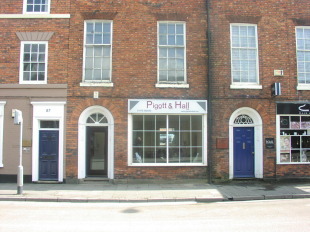 Pigott and Hall is an Independent property agent specializing in residential and commercial property management and sales in the Grantham Area. The company, founded in 2006, is owned and run by Timothy Hall and Carole Pigott who together bring over 40 years experience dealing with all aspects of Property Management and Sales and, combined with their local knowledge, provide a winning formula for successfully assisting you with your property. Our Sales department’s reputation is based on our initial free valuation where we will give you an open, honest and no nonsense opinion to the best price we believe you can achieve and the best way of achieving this. Unlike Agents that deal solely in Lettings or Sales we can offer you the best advice regarding your property, whether it be for sale, to let, or indeed if you are not sure which would be the best option. Please contact us today for more information on the service we can provide you and for detailed advice on letting or selling your property. Disclaimer: The information about this Agent is provided by the Agent themselves as an advertisement for their agency services. Rightmove is not endorsing this Agent and makes no warranty as to the accuracy or completeness of the advertisement or any linked or associated information, and Rightmove does not check or verify the accuracy of the content. The information is generated, provided and maintained by Pigott & Hall, Grantham. Please contact the Agent directly to obtain further information about their property services.